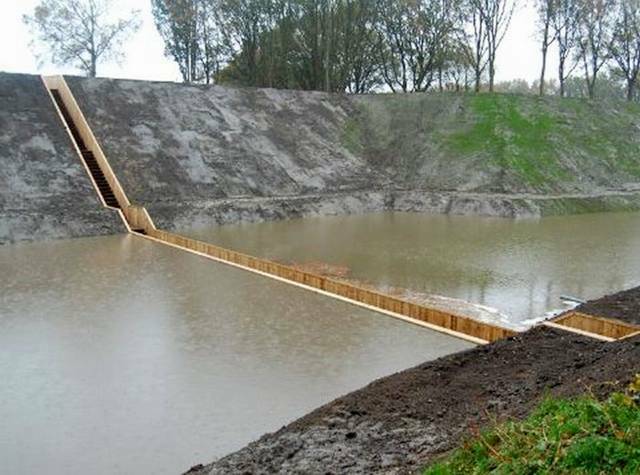 This incredible “sunken” bridge located in the Netherlands is giving visitors a unique way to access a beautiful 17th Century Dutch fort. 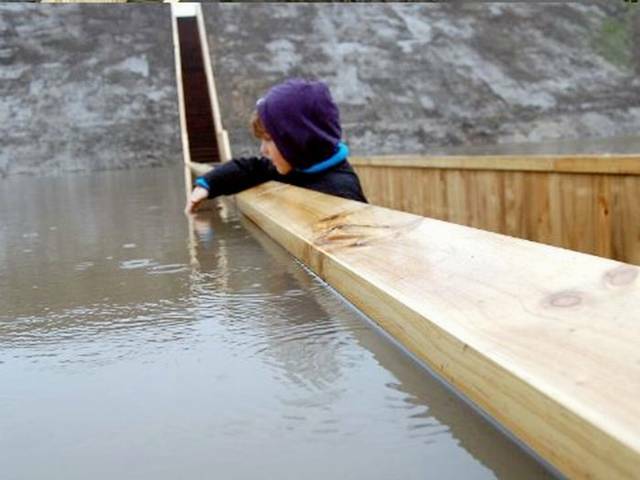 Designed by RO & AD Architects, the Moses Bridge literally parts the waters that surround the fort, allowing pedestrians to pass through. 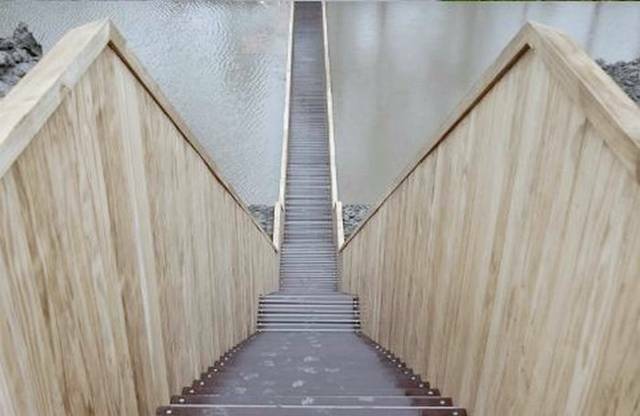 The bridge is made from sustainable Accsys Technologies Accoya wood, which is both FSC and PEFC certified. 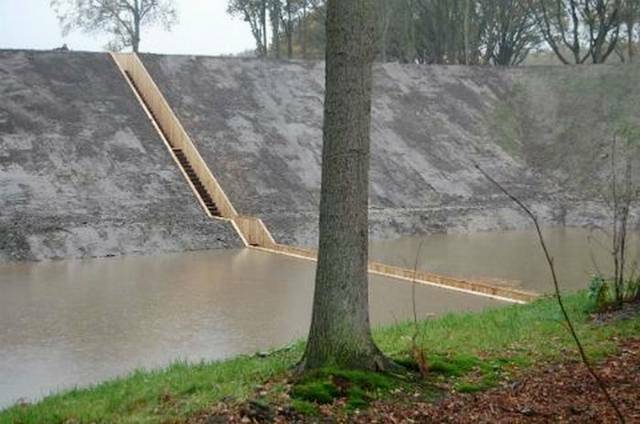 A series of moats and fortresses were built over the West Brabant Water Line region of the Netherlands during the 17th century in order to provide protection from invasion by France and Spain. 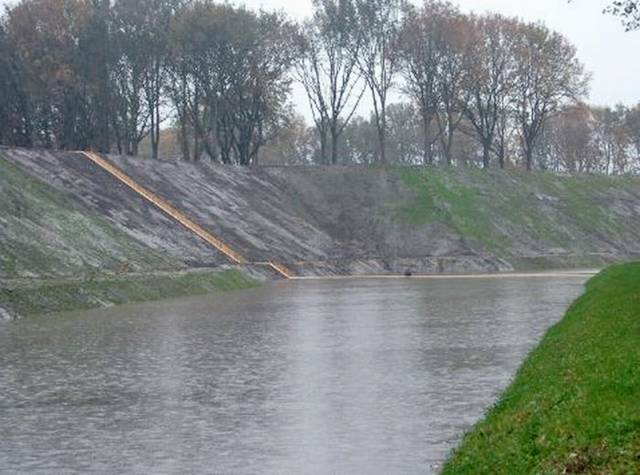 Fort de Roovere was surrounded with a shallow moat that was too deep to march across, and too shallow for boats. 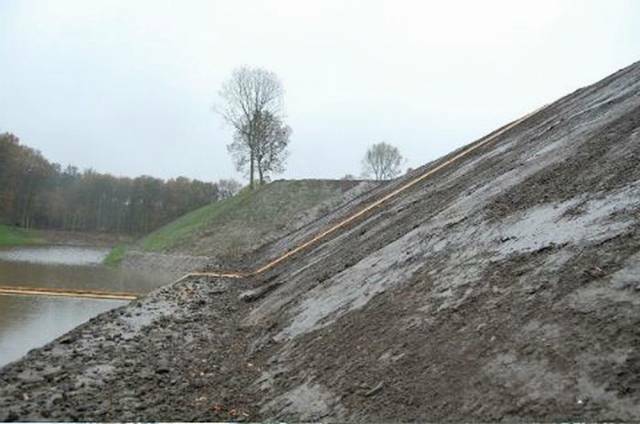 In turn the earthen fort had remained protected –until now. 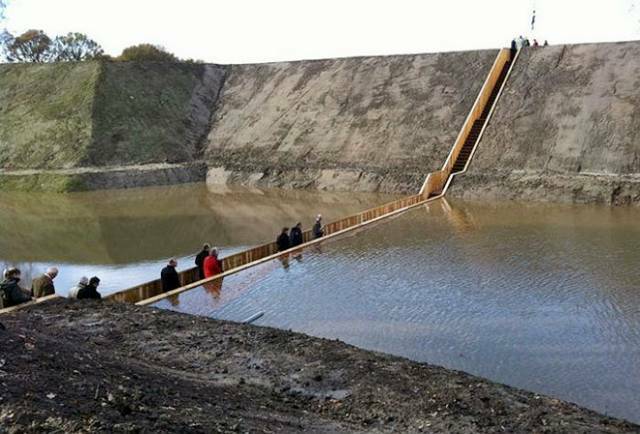 From afar, the Moses Bridge is invisible to the eye. The flow of the moat appears continuous, as the water level remains at the same level, reflecting the surrounding foliage. As visitors approach the fort, the bridge appears as a break in the water with its sloping walls containing it. 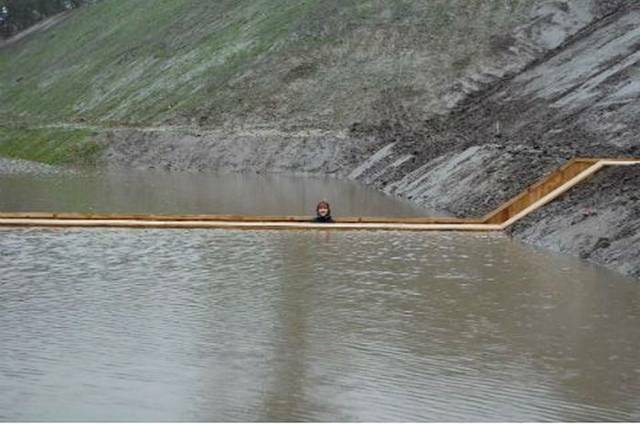 First lying flush with the earth, the bridge then descends deeper into the ground. 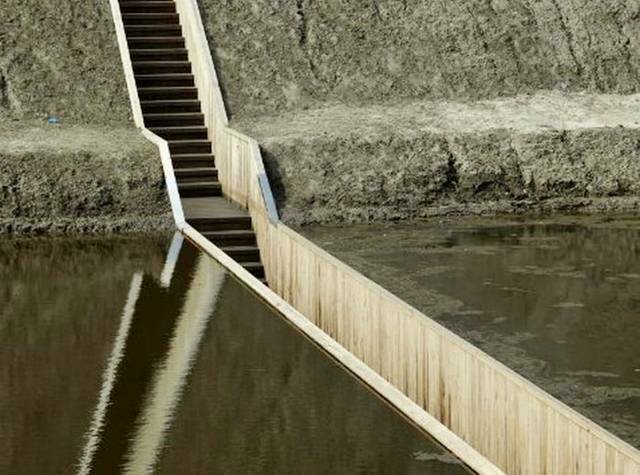 Lined with wood sheet piling for walls, the deck and stairs sit between. The bridge and its components have been made from sustainable hardwood that is Cradle to Cradle Gold certified. 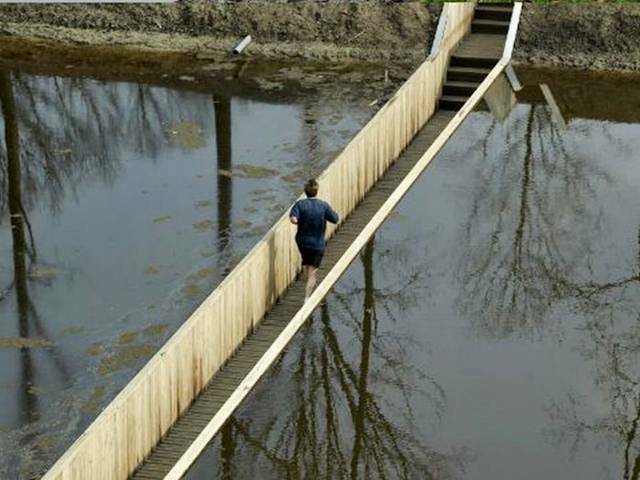 The Accoya wood is also treated with a nontoxic coating, protecting it from fungal decay and increasing its durability — an ideal material for a sunken bridge. Like a dam, the walls of the bridge hold the waters of the moat back, and like Moses, the bridge parts the waters so that pedestrians may pass. 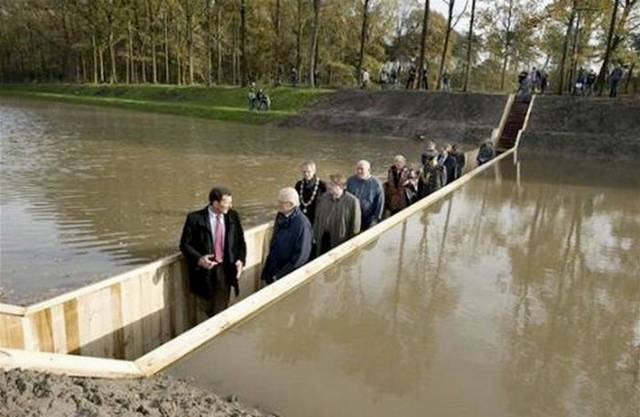 The Moses Bridge gives visitors a unique opportunity to pass through parted waters, to eventually meet a historic fortress of defense.